BERKELEY, Calif. -- It doesn't take long to realize why Tilden Park Golf Course has a deep, devoted pool of regulars. With hundreds of Monterey pine, redwood, oak and eucalyptus trees, Tilden Park makes you feel like you're seeing the land as it was. 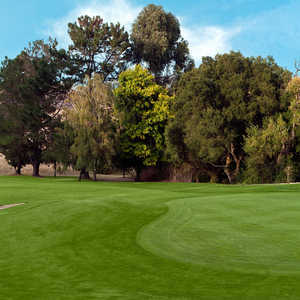 This public course in the hills less than two miles east of the Cal Berkeley football stadium offers a back-to-nature setting few other facilities can match. 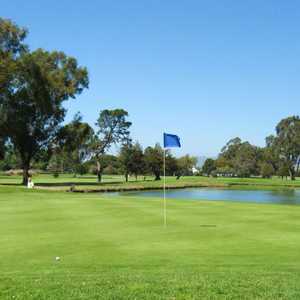 The course sits in the northern end of Tilden Park, a large, regional recreational area that straddles the boundary between Alameda and Contra Costa counties. Getting to the course requires ascending the hills through Oakland or Berkeley, with the best route being Grizzly Peak Road because it offers some of the most stunning views of the San Francisco Bay. At the junction of Grizzly Peak and Golf Course roads, it is worth noting that you are near the labs where physicist Robert Oppenheimer began the career that led him during WWII to manage the secret development of the atomic bomb. A short drop down Golf Course Road brings you to the course, and it doesn't take long to get the feeling you are in the wilderness. Tilden Park opened in 1936 and retains its charms, or some might it say it has yet to be updated. In fact, the facilities are original and in good shape. The pro shop is more of a shack, and the halfway house looks more like a cabin than a clubhouse ... fittingly so. Its patio overlooking the back nine mandates a stop to take in the view. With hundreds of Monterey pine, redwood, oak and eucalyptus trees, Tilden makes you feel like you are seeing the land as it was. Indeed you are, relatively speaking. Deer are plentiful, the trees large and the experience comes closer to a nature walk than a sporting event. "It's like a country club, really," said Larry Sclarsky, a Berkeley resident who plays regularly at Tilden Park Golf Course, before adding with tongue in cheek: "When we meet people who come out for the first time, we tell them it's a terrible place to play." On a warm, clear day it was immediately apparent this course is an antidote for traffic, noise and phones ... especially the last. Cell reception in these hills is an iffy proposition. In that comes the sweet juxtaposition of Tilden Park: You are so close to urban development yet you feel you're miles and miles from modern life. There is a three-level driving range located right next to the first tee. All the hitting stalls are plastic mats. Group and individual lessons are available, and it is a site devoted to bringing youth and new people into the game through the Bay Area Golf Learning Center. Relatively untouched since its inception, the defense of the course comes from the elevation changes, sloping and narrow fairways and small greens whose edges border steep slopes. That's why there is no need for fairway bunkers. For that matter, few of the small greens have bunkers, which, for the most part, look like flat pancakes rather than deep trenches with flared-up edges. There are very few flat lies at Tilden Park, yet it's a course where one doesn't have to worry about errant shots running deep into the woods. There are some forced carries over creek beds and natural grass areas, but by and large, it's a course whose routing makes for short, green-to-tee transitions, making walking almost mandatory. It was built nearly 75 years ago, so the course lacked modern drainage infrastructure. Years ago, winter rains made the course almost unplayable. American Golf manages golf shop and maintenance, and to its credit, the firm has focused on improving course conditions. The fairways and greens are in top-notch shape. Year-round play is the norm, and the course racks about 65,000 rounds a year. There are days when conditions leave American Golf powerless and golfers confused. In summer months, fog off the bay drops temperatures and lowers visibility to "we'll have to guess where that shot went" mode. A few miles east, skies will be clear. It can be a mystical round, emphasis on mist. 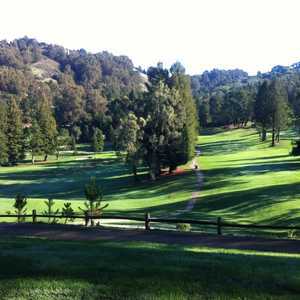 Just one round will give you a taste of Tilden Park's challenges, but the more you play, the more it can grow on you. It is a course with minimal markings, so the doglegs and elevation changes make it quite a challenge to get the right yardages. A high-end range finder would really help, but even then, with the uneven lies and small targets, you see why the course is anything but a pushover.